Stevenage, 21/08/2017 - Today’s total Solar Eclipse across the United States of America will provide a spectacular view of the mysterious Solar Corona, the one million degree “halo” around the sun, which can only be seen from Earth when the Moon passes in front of the bright solar disk, which otherwise completely drowns out the faint light of the corona. Scientists lucky enough to be able to see the Solar Eclipse from Earth will be studying this rare glimpse of the corona during the one hundred and sixty seconds or less that the eclipse lasts, to try to answer the many unanswered questions about this mysterious corona. Noone yet knows for instance, why the corona is more than 100 times hotter than the surface of the Sun. 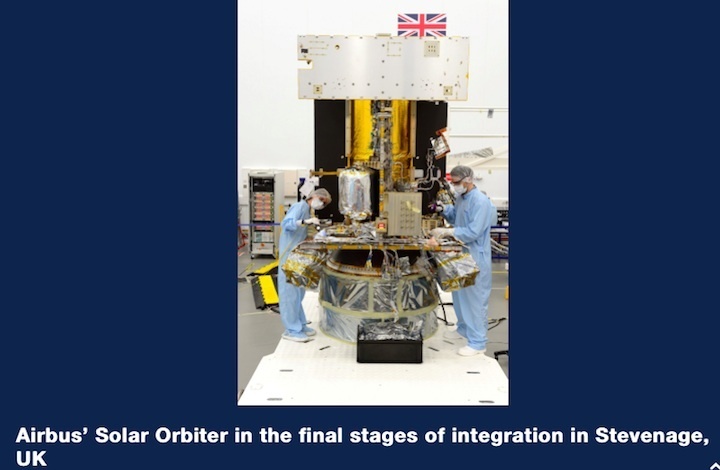 Meanwhile the European Space Agency spacecraft Solar Orbiter is in the final stages of spacecraft integration at the Airbus spacecraft assembly hall in Stevenage, UK. Solar Orbiter will be launched in February 2019 into a close orbit around the Sun and will allow scientists to study the solar corona in much more detail, for much longer periods, and at a much closer distance that can ever be reached here on the ground, or for that matter, by any spacecraft circling the Earth. 10 instruments will be flown that will study not only the corona but the Sun’s disk in great detail, the solar wind and the solar magnetic fields which will give us unprecedented insight into how our star works, and how we can better predict periods of stormy “space-weather” that the Sun throws our way from time to time. The last of the ten instruments is being installed this month and the next step is system testing before the heatshield, antennas and boom are added towards the end of the year. In addition, the first instrument end-to-end electrical test has been performed successfully showing that the system works completely as expected. By the time of the next global total eclipse, across the Pacific Ocean and South America on 2nd July 2019, Solar Orbiter will have begun its three and a half year journey to the inner solar system to get close to our Sun. A new space mission will carry telescopes closer to the sun than ever before, capturing detailed images of its surface landscapes and taking measurements of its atmosphere. Once it reaches its destination – the sun’s orbit – the spacecraft will be able to investigate the origins of the solar wind – the stream of ionised gas emanating from the sun – and of fierce explosions on its surface called solar flares, as well as taking pictures of the polar regions of the sun for the first time. The European Space Agency’s Solar Orbiter will launch in February 2020 using a Nasa rocket from Cape Canaveral in Florida, and will take approximately three and a half years to reach its vantage point, about one fifth as far as Earth is from the sun. Before it gets there, it must first head for Venus and then manoeuvre back towards Earth, before finally dropping very close to the sun and adjusting its position until it eventually reaches a distance of about 42 million kilometres from its surface. On 12 August, Nasa’s Parker solar probe started a similar perilous journey towards the sun, aiming to reach within 7 million kilometres of its surface, but it lacks the ability to gather images that the onboard telescopes give the Solar Orbiter. “Most [previous] missions have been more focused on sampling the environment around the spacecraft or on looking at the surface of the sample. This is doing both in a way that hasn’t been done before,” said Michelle Sprake, a systems engineer at Airbus Defence and Space in the UK, who has been working on Solar Orbiter for the past eight years. The seven-year mission, which is costing about €1bn, aims to do 20 flybys of the sun. To do this, Solar Orbiter will need to withstand a huge temperature range, from 600C when close to the sun to -180C in deep space. “It’s been one of the most challenging missions that we’ve ever developed,” said Justin Byrne, head of science at Airbus. 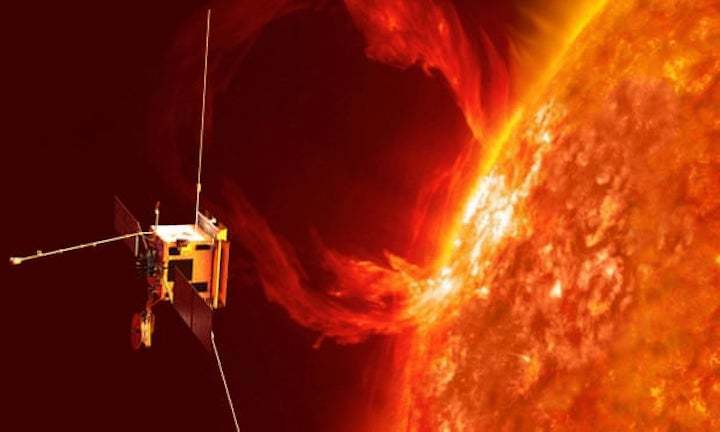 Solar Orbiter will help scientists understand and predict the effects of solar wind and big solar eruptions on communications and navigation systems on Earth. “The overarching science question we are trying to answer is about how the sun creates this plasma bubble around it and about how solar activity changes through time and also changes this bubble we all live in,” said Daniel Müller, ESA’s Solar Orbiter project scientist. Although on Earth we are continuously being “gently buffeted by the what is called the solar wind”, a big solar storm can affect spacecrafts, satellites and the accuracy of GPS signals, said Louise Harra, a professor of solar physics at UCL Mullard Space Science Laboratory and part of the Solar Orbiter project. “It wouldn’t affect you and I when using our satnavs,” she said, but it could affect someone using high precision GPS, for example, in oil drilling. Similarly, during a solar storm, aircraft are not allowed to rely on GPS signals and have to reroute. Solar Orbiter is “one piece in the puzzle” in terms of trying to understand and predict these events with a bit more accuracy, so we can work out whether we’re going to be affected by them, said Sprake. The mission scientists hope to understand what drives the sun’s magnetic field and its 11-year cycle of activity. Being able to study the poles will be central to this, said Harra. At the moment, “because we don’t know what’s at the poles, we’re missing a big part of the picture,” she said. “We have never had the telescopes to look down and measure the magnetic field at the poles, to see what the structures are. It’s not just going to be black darkness, we believe. There are going to be some interesting phenomena there. And that global magnetic field is what drives the solar activity and the solar wind,” she told the Guardian. The spacecraft is fitted with 21 sensors and 10 instruments which will look at the sun and at the surrounding environment, as well as a 3.1m by 2.4m protective heat shield made of multiple layers of insulation materials designed to reflect as much heat as possible. 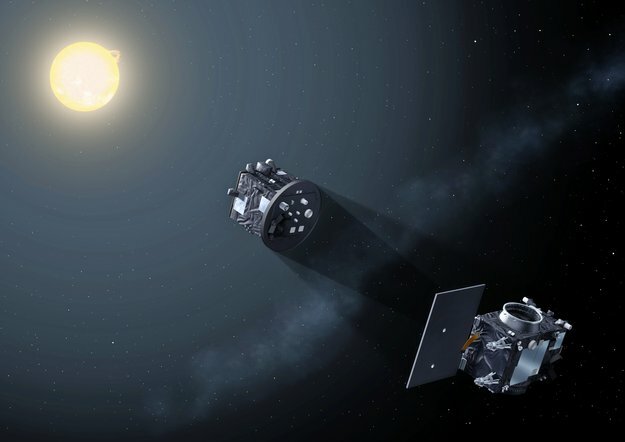 “The spacecraft’s job is to deliver a precious cargo of 10 instruments to the vicinity of sun,” said Ian Walters, Solar Orbiter project manager at Airbus. The instruments are so sensitive that the spacecraft has to be completely clean, he said. The cleaning process has included baking each unit on the spacecraft and subjecting it to a purge using dry nitrogen. 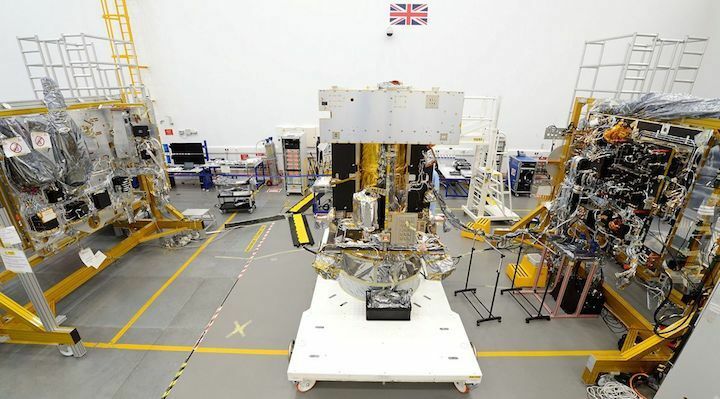 Now that all the instruments have been installed and tested at the Airbus facilities in Stevenage, UK, engineers are busy wrapping up the spacecraft in thermal blankets before it can be shipped to IAGB facilities in Munich for final tests ahead of its launch. The Solar Orbiter launch window is set for between 6 and 24 February 2020, said Walters. “That three week slot is fixed by the geometry of Earth and Venus. We will not miss it,” he added.